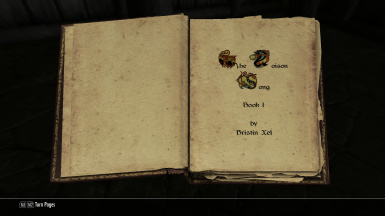 Adds 177 books from previous Elder Scrolls games to be found across Skyrim. Jackstarr for drawing and providing a Morrowind favorite: ABCs For Barbarians. Thurderan for his Skill Book version, which I integrated in the project. Bethesda Game Studios\' writers and developpers who wrote the Elder Scrolls\' lore and books. 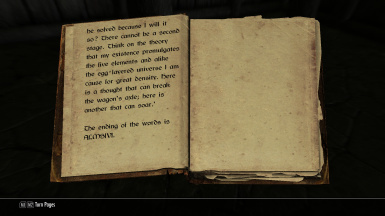 The Imperial Library for archiving these books and being the center of all that is Tamriel\'s Lore. Addition: Added the books to most general good merchants, orc wise-women and castle wizards. Fixes: Fixed several graphical glitches in some books and reworked some paragraphs. 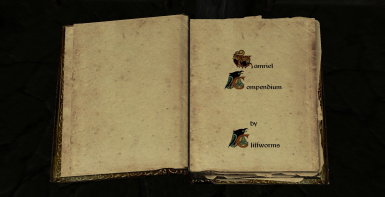 Tamriel Compendium adds 177 books that were present in past Elder Scrolls games but not included in Skyrim. Books of fiction, theatrical plays, jokes, metaphysics, guides, poems, debates, religion and more. 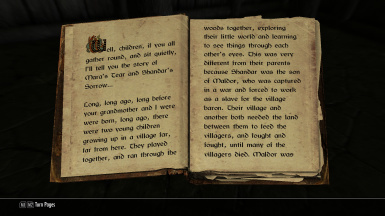 Many of those books come from another province of Tamriel, allowing you to learn more about their views on societies, politics and religion. Some tales are written in twelve volumes or more. 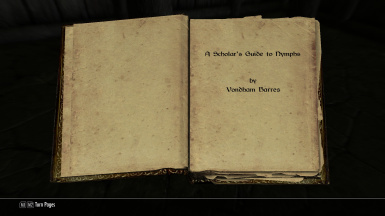 If you're the player who loves to forget about Skyrim and dig into Tamriel's lore, you'll find that visiting bookshops, looting dungeons and browsing through the College of Winterhold's library will greatly reward you. The new books are added to the game's book leveled lists. This means that they randomly appear in dungeons, merchant wares, homes or any locations where books are spawned. 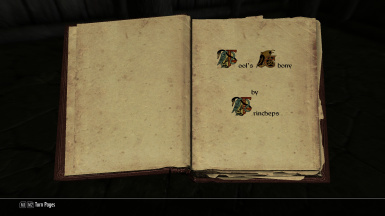 But the best way to find them is to browse through the College of Winterhold's library or purchase them from the librarian. 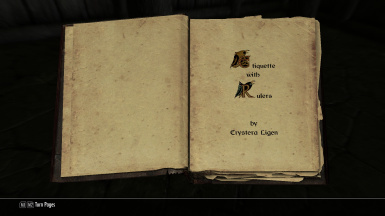 The writers of the Elder Scrolls team have given us excellent reading material in the games but many do not make it in the next. 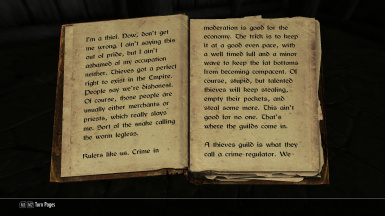 Tamriel Compendium brings this material to your character's reading table. Grab yourself a candle, browse through your book collection and take a seat. Stories of honor, gods and Tamriel myths await you. If you are using mods that add new items to the merchants' stocks, you will need to rebuild your Bash Patch for these mods to work together. Refer to the Wrye Bash application to proceed. - Some books are very long (Over 30-40 pages) and may drop your FPS when reading them.